MBDA has a secured a £323 million deal for the next batch of air defence missiles for the British Army and Royal Navy. The next-generation Common Anti-air Modular Missile (CAMM) is designed for use both at sea and on land. It has the capability to defend against anti-ship cruise missiles, aircraft and other highly sophisticated threats. 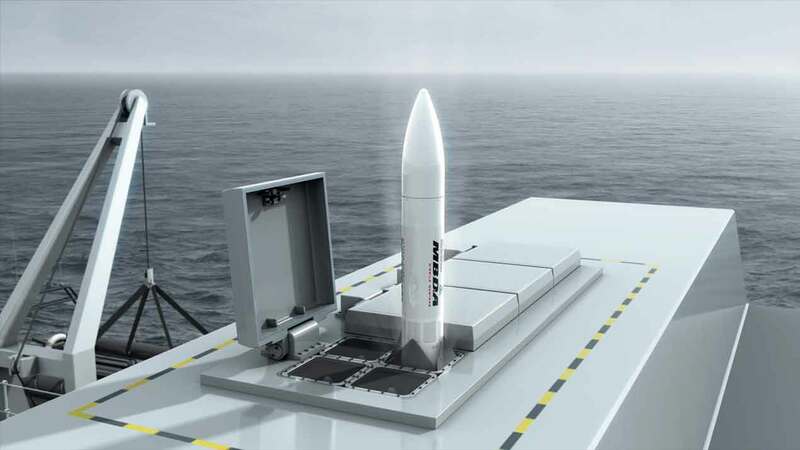 Designed and manufactured by MBDA in the UK, CAMM will be deployed using the Sea Ceptor and Land Ceptor weapon systems that will protect the Royal Navy’s Type 23 and future Type 26 war ships, as well as enhancing the British Army’s Ground Based Air Defence system. Sea Ceptor and Land Ceptor use radar and datalink technology to guide the CAMM with incredible accuracy. CAMM’s associated radar system tracks the maritime or land-based threat and uses the datalink to update the missile with the location of the threat. The CAMM’s own active radar seeker can then take over the missile guidance. The missiles are designed to provide 360-degree coverage and a high degree of manoeuvrability. The Sea Ceptor weapon system incorporating CAMM will replace the Sea Wolf weapon system on the Type 23 frigate and provide the anti-air defence capability on the new Type 26 frigates for the Royal Navy. MBDA was also awarded a contract to integrate the Meteor Beyond Visual Range Air-to-Air Missile (BVRAAM) on the new F-35 stealth fighters.The contract includes the mixture of test assets and the production and engineering work needed to support Meteor’s compatibility and use from the F-35. The UK’s F-35 Lightning II force will be armed with the Meteor missile in the 2020s. The contract’s scope also includes the role change kits for the UK’s common Meteor stockpile for both Typhoon and Lightning and follows-on from the successful firing trials of MBDA’s Advanced Short Range Air-to-Air Missile (ASRAAM) from the F-35 earlier this year. ASRAAM is being integrated onto the F-35 as part of the aircraft’s Block 3 SDD programme. 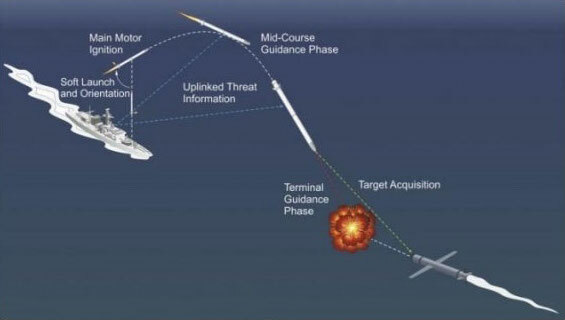 Also set for future integration onto the F-35 is MBDA’s SPEAR precision surface attack missile. Meteor and SPEAR are advanced weapons that complement the fifth-generation F-35, bringing networked capability with stand-off— both weapons are key elements of the UK’s carrier strike capability in the future. Similarly, the Land Ceptor weapon system will replace the Rapier weapon system in service with the British Army and contribute technology to the replacement of the Advanced Short Range Air-to-Air Missile in service with the Royal Air Force.